WASHINGTON, DC, December 7, 2010 (ENS) – The U.S. Supreme Court announced Monday that it will hear a definitive greenhouse gas lawsuit on whether federal law allows states and private parties to sue utilities for contributing to global warming. In American Electric Power v. Connecticut, a power company asks the court to rule on enforcement of emissions caps, seeking to overturn a ruling by a lower court, the U.S. Court of Appeals for the Second Circuit. American Electric Power is joined in the lawsuit by Duke Energy, Southern Company, Xcel Energy and the Tennessee Valley Authority, a nonprofit public utility owned by the federal government. The high court will rule on whether states and private parties may seek emissions caps on utilities for their alleged contribution to global climate change. The justices will also decide whether a cause of action to cap carbon dioxide emissions can be implied under federal common law. Justice Sonia Sotomayor recused herself from the Supreme Court’s decision to hear the case, because she participated in the Second Circuit ruling before joining the Supreme Court earlier this year. Her absence could mean a split 4-4 ruling, which would leave the lower court decision in effect. Alice Kaswan, a professor at the University of San Francisco School of Law, explains that this case arose when Connecticut, along with several other states and public interest organizations, brought a public nuisance action against the five largest U.S. electric utility companies. 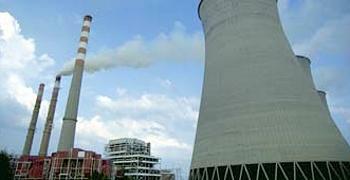 The plaintiffs sought injunctive relief in the form of emissions limits on the utilities’ facilities. “In 2005, the district court held that applying public nuisance law to the problem of climate change presented a nonjusticiable political question, and dismissed the case. In 2009, the Second Circuit reversed, re-opening the courthouse door to climate nuisance cases,” Kaswan explains, writing on the Center for Progressive Reform blog. This case is timely because the U.S. EPA is about to regulate greenhouse gases under the Clean Air Act’s Prevention of Significant Deterioration, PSD, program this January, a move that Republicans and industry groups have been trying to block. “The question is whether regulating stationary sources under the PSD program amounts to the type of ‘comprehensive’ regulation that would displace the common law in this context,” Kaswan says. But, she explains, the PSD regulation imposes federal emission control requirements only on new and modified sources of emissions, not on existing sources, unless those sources are modified. 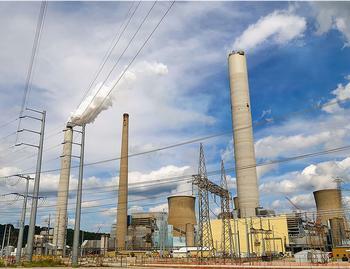 American Electric Power v. Connecticut, by contrast, targets existing stationary sources of greenhouse gases. The Obama administration intervened in support of allowing the Supreme Court to hear this case. “The administration claims that the EPA has gotten busy implementing the Clean Air Act with respect to greenhouse gas emissions and that allowing federal common law nuisance claims to proceed would interfere with the regulatory initiative,” explains Douglas Kysar, a professor at Yale Law School and a member scholar at the Center for Progressive Reform. President Barack Obama and U.S. EPA Administrator Lisa Jackson have repeatedly said they want limits on greenhouse gas emissions to be legislated by Congress. Although the House of Representatives passed a greenhouse gas cap and trade bill, the American Clean Energy and Security Act of 2009, the Senate has failed to pass similar legislation. With the balance of power shifting Republican after the mid-term elections in November, the likelihood of such a bill making it through Congress in the next two years is nil. The states of Indiana, Arkansas, Hawaii, Kansas, Kentucky, Nebraska, North Dakota, Ohio, Pennsylvania, South Carolina, Utah and Wyoming joined in asking the Supreme Court to rule in this case. The states argue that the theory of liability advanced in this case has no limiting principle. “It would permit federal courts to impose CO2 emission limits on any entity in the country, and one might reasonably expect that the major economic actors of each state, not to mention state government entities themselves, would be on a list of potential defendants. What is more, this lawsuit threatens substantial impact on state environmental regulatory schemes,” the states say in their brief to the high court. That “someone” is the eight Supreme Court justices who will rule on American Electric Power v. Connecticut. The U.S. Chamber of Commerce also requested a Supreme Court hearing because of the “staggering economic implications” of the case.